Aftermath of the cyber attack – will ministers learn the wrong lessons? At least 16 NHS trusts out of 47 that were hit by the ransomware attack continue to face problems, according to BBC research. And, as some patients continued to have their cancer treatments postponed, Tory, Labour and Lib-dem politicians told of their plans to spend more money on NHS IT. But will any new money promised by government focus on basic weaknesses – such as the lack of interoperability and the structural complexities that made the health service vulnerable to cyber attack? Last year when the health secretary Jeremy Hunt announced £4bn for NHS IT, his focus was on new technologies such as smartphone apps to order repeat prescriptions rather than any urgent need to upgrade MRI, CT and other medical devices that rely on Windows XP. Similarly the government-commissioned Wachter review “Making IT Work: Harnessing the Power of HealthInformation Technology to Improve Care in England“ made no mention of Windows XP or any operating system – perhaps because ministers were much more likely to welcome a review of NHS IT that focused on innovation and new technologies. The Government’s position is that the NHS was not specifically targeted in the cyber attack and that the Tories are putting £2bn into cyber security over the next year. “It was clear warnings were given to hospital trusts but this is not something that was focused on attacking the NHS. 150 countries are affected. Europol says there are 200,000 victims across the world. Cyber security is an issue we need to address. Similarly Jeremy Hunt, health secretary, told the BBC that the attack affected international sites that have “some of the most modern IT systems”. But the BBC’s World at One gave an example of how the NHS’s IT problems were affecting the lives of patients. “I turned up by hospital transport for my second radiotherapy session, and I, along with many other patients – at least 20 other people were waiting – and they said the computers weren’t working. “I do have to say the staff were very good and very quickly let us all know that they were having trouble with the computers. They didn’t want to misinform us, so they were going to come and talk to us all individually and hoped they would be able to rectify it. “Within half an hour or so they came out and said, ‘We’re really sorry but it’s not going to get sorted. We’ll send you all home and give you a call on Sunday’ which didn’t happen. “But they did ring me this morning (15 May 2017) to say it’s not happening today and if transport turns up please don’t get in it, and it’s very unlikely it will happen tomorrow. United Lincolnshire Hospitals Trust told World at One it will be back in touch with patients once the IT system is restored. Roy Grimshaw was in the middle of an MRI scan – after dye was injected into his blood stream – when the scan was stopped and he was asked to go back into the waiting room in his gown, with tubes attached to him, while staff investigated a computer problem. After half an hour he was told the NHS couldn’t continue the scan. GP practices continue to be affected. Keiran Sharrock, GP and medical director of Lincolnshire local medical committee, said yesterday (15 Mat 2017) that systems were switched off in “many” practices. Martha Kearney – BBC World at One presenter – asked Sharrock about NHS Digital’s claim that trusts were sent details of a security patch that would have protected against the latest ransomware attack. “I don’t think in general practice we received that information or warning. It would have been useful to have had it,” replied Sharrock. Kearney – What about claims that budget is an aspect of this? World at One also spoke to Ciaran Martin, Director General for Government and Industry Cyber Security. He is a member of the GCHQ board and its senior information risk owner. He used to be Constitution Director at the Cabinet Office and was lead negotiator for the Prime Minister in the run-up to the Edinburgh Agreement in 2012 on a referendum on independence for Scotland. Kearney: Did your organisation issue any warnings to the health service? Huge sums spent on paying ransoms? Martha Kearney said the UK may be a target because it has a reputation for being willing to pay ransoms. Martin, “We are no more or less a target for ransomware than anywhere else. It’s a global business; and it is a business. It is all about return on investment for the attacker. He added that there are “all sorts of vulnerabilities out there” including with open source software. Computer Weekly reports – convincingly – that the government did not cancel an IT support contract for XP. Officials decided to end a volume pricing deal with Microsoft which left NHS organisations to continue with XP support if they chose to do so. This was clearly communicated to affected departments. Government technology specialists, reports Computer Weekly, did not want a volume pricing deal with Microsoft to be “comfort blanket” for organisations that – for their own local reasons – were avoiding an upgrade from XP. Computer Weekly also reported that civil servants at the Government Digital Service expressed concerns about the lack of technical standards in the NHS to the then health minister George Freeman. Freeman was a Department of Health minister until July 2016. In their meeting with Freeman, GDS officials emphasised the need for a central body to set technical standards across the NHS, with the authority to ensure trusts and other organisations followed best practice, and with the transparency to highlight those who chose not to. A source told Computer Weekly that Jeremy Hunt was also briefed on the security risks that a lack of IT standards would create in a heavily-federated NHS but it was not considered a priority at that top political level. “Hunt never grasped the problem,” said the source. There are doubts, though, that Hunt could have forced trusts to implement national IT security standards even if he’d wanted to. NHS trusts are largely autonomous and GDS has no authority to mandate technical standards. It can only advise. A comment by an NHS IT lead on Digital Health’s website gives an insight into how his trust avoided being hit by the latest cyber attack. He said his trust had a “focus on perimeter security” and then worked back to the desktop. He also suggests that NHS Digital sign a Microsoft Enrollment for Windows Azure [EWA] agreement as it is costly arranging such a deal locally. Another comment on the Digital Health website says that even those organisations that could afford the deployment costs of moving from XP to Windows 7 were left with the “professional” version, which “Microsoft has mercilessly withdrawn core management features from (e.g. group policy features)”. A third comment said that security and configuration management in the NHS is “pretty poor”. He added, “I don’t know why some hospitals continue to invest in home-brew email systems when there is a national solution ready and paid for. Allow workstations to openly and freely connect to each other in a trusted zone. Give GDS the ability to mandate no matter how many Sir Humphreys would be upset at every challenge to their authority. Government would work better if consensus and complacency at the top of the civil service were regarded as vices, while constructive, effective and forceful criticism was regarded as a virtue. Give the NHS money to spend on the basic essentials rather than nice-to-haves such as a paperless NHS, trust-wide wi-fi, smartphone apps, telehealth and new websites. The essentials include interoperability – so that, at the least, all trusts can send test results and other medical information electronically to GPs – and the upgrading of medical devices that rely on old operating systems. Plan for making the NHS less dependent on monolithic Microsoft support charges. On the first day of the attacks, Microsoft released an updated patch for older Windows systems “given the potential impact to customers and their businesses”. Patches are available for: Windows Server 2003 SP2 x64, Windows Server 2003 SP2 x86, Windows XP SP2 x64, Windows XP SP3 x86, Windows XP Embedded SP3 x86, Windows 8 x86, and Windows 8 x64. Reuters reported last night that the share prices of cyber security companies “surged as investors bet on governments and corporations spending to upgrade their defences”. Network company Cisco Systems also closed up (2.3%), perhaps because of a belief that it would benefit from more network spending driven by security needs. Security company Avast said the countries worst affected by WannaCry – also known as Wannacypt – were Russia, Taiwan, Ukraine and India. In a small room on the periphery of an IT conference on board a cruise ship , nearly all of the senior security people talked openly about how their board directors had paid ransoms to release their systems after denial of service attacks. Some of the companies – most of them household names – had paid ransoms more than once. Until then, I’d thought that some software suppliers tended to exaggerate IT security threats to help market their solutions and services. But I was surprised at the high percentage of large companies in that small room that had paid ransoms. I no longer doubted that the threats – and the damage – were real and pervasive. The discussions were not “off-the-record” but I didn’t report their comments at the time because that would doubtless have had job, and possibly even career ramifications, if I had quoted the security specialists by name. Clearly ransomware is, as the GCHQ expert Kieran Martin put it, a global business but, as ransoms are paid secretly – there’s not a whisper in corporate annual accounts – the threat has not been taken seriously enough in some parts of the NHS. The government’s main defence is that the NHS was not targeted specifically and that many private organisations were also affected. But the NHS has responsibility for lives. There may be a silver lining if a new government focuses NHS IT priorities on the basics – particularly the structural defects that make the health service an easy target for attackers. What the NHS doesn’t need is a new set of politicians and senior civil servants who can’t help massaging their egos and trying to immortalise their legacy by announcing a patchwork of technological marvels that are fun to work on, and spend money on, but which gloss over the fact that much of the NHS is, with some notable exceptions, technologically backward. 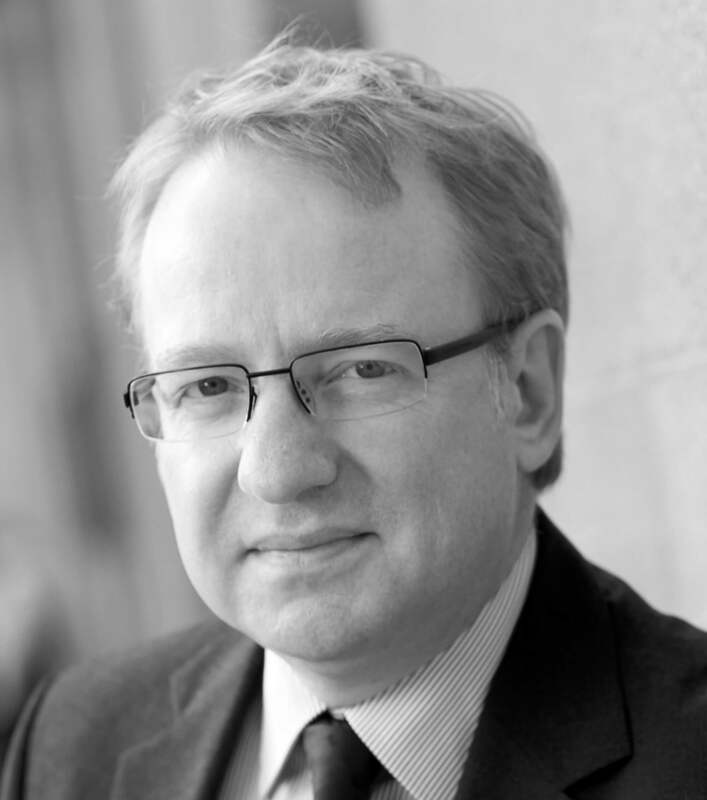 Jerry Fishenden has resigned from the Cabinet Office‘s Privacy and Consumer Advisory Group after nearly six years. First he was its chairman and more recently co-chairman. The Privacy and Consumer Advisory Group comprises privacy and security experts who give the government independent analysis and guidance on personal data and privacy initiatives by departments, agencies and other public sector bodies. This includes GOV.UK Verify. The group’s advice has had the citizens’ interests in mind. But the group might have been seen by some Whitehall officials as having an open and frank “outsiders” culture. Francis Maude, then Cabinet Office minister, helped to set up the group but he left in 2015 and none of his replacements has had a comparable willingness to challenge the civil service culture. Maude welcomed the help of outsiders in trying to change the civil service. He tried to bring down the costs of Government IT and sought to stop unnecessary or failing projects and programmes. He also wanted to end the “oligopoly” of a handful of large IT suppliers. But Maude’s initiatives have had little continuing support among some Whitehall officials. Fishenden said in a blog post this week that Maude had wanted the Privacy and Consumer Advisory Group to be a “critical friend” – a canary that could detect and help fix policy and technology issues before they were too far down the policy / Bill process. He added that “since Francis Maude’s departure, there has been only one meeting” with subsequent Cabinet Office ministers. One of the Privacy and Consumer Group’s strengths has been its independent view of Government IT-related initiatives – which is probably the main reason it has been marginalised. Fishenden’s departure is further confirmation that since Maude’s departure, the Cabinet Office – apart from the Government Digital Service – has settled back into the decades-old Whitehall culture of tinkering with the system while opposing radical change. While Whitehall’s culture remains unreformable, central government will continue to lose the best IT people from the private sector. Some of these include the former Government Digital Service executive director Mike Bracken, Stephen Foreshew-Cain, who took over from Bracken, Janet Hughes, programme director of Verify, Andy Beale, GDS’s chief technology officer, Paul Maltby, GDS’s director of data and former Whitehall chief information officers Joe Harley, Steve Lamey, Andy Nelson and Mark Dearnley. The unfortunate thing is that a few powerful career civil servants, including some permanent secretaries, will be delighted to lose such outsiders. Jerry Fishenden is simply the latest casualty of a civil service tradition that puts the needs of the department before those of the citizen. It’s a culture that hasn’t changed for decades. Does Universal Credit make a mockery of Whitehall business cases? Does Universal Credit make a mockery of this Treasury guidance on business cases? It’s supposed to be mandatory for Whitehall departments to produce business cases. They show that big projects are “unequivocally” affordable and will work as planned. But Computer Weekly said yesterday that the Department for Work and Pensions has not yet submitted a full business case for Universal Credit although the programme has been running for six years. The result is that the Universal Credit IT programme may be the first big government computer project to have reached the original completion date before a full business case has been finalised. Its absence suggests that the Department for Work and Pensions has not yet been able to produce a convincing case to the Treasury that the IT programme will either work or be affordable when it is due to roll out to millions of claimants. The absence also raises a question of why the Department for Work and Pensions was able to award contracts and proceed with implementation without having to be accountable to Parliament for milestones, objectives, projected costs and benefits – all things that would have been recorded in the full business case. If the DWP can proceed for years with project implementation without a full business case, does this mean that other Whitehall department need have no final structured plan to justify spending of billions on projects? By early March 2017, fewer than 500,000 people were on Universal Credit. On completion, the system will be expected to cope with seven million claimants. Although the rollout of the so-called “digital” system – which can handle all types of claim online – is going well (subject to long delays in payments in some areas and extreme hardship for some), there are uncertainties about whether it will cope with millions of claimants. Universal Credit campaigner John Slater has been unable to obtain any confirmation from the DWP on whether it is planning to complete the rollout by 2022 – five years later than originally scheduled. Business cases present arguments that justify the spending of public money. They also provide a “clear audit trail for purposes of public accountability,” says Cabinet Office guidance on business cases. But hundreds of millions has already been spent on Universal Credit IT, according to the National Audit Office. But by March 2013, the Department for Work and Pensions had already spent about £303m on Universal Credit IT, mostly with Accenture (£125m), IBM (£75m), HP (49m) and BT (£16m), according to the National Audit Office. “… it is vital that capital spending decisions are taken on the basis of highly competent professionally developed spending proposals. plans for successful delivery and post evaluation. Limited evidence that supplier invoices were properly checked before payments were made. Over-reliance on performance information from suppliers that the Department for Work and Pensions didn’t validate. “You’re supposed to supply a full business plan before we decide on whether to give you the money but we know how important Universal Credit is. “We’ll tell you what: we’ll let you have a few tens of millions here and there and see how you get on. “For the time being, without a full business case, you’re restricted to an IT spend of around £300m. “In terms of the eligibility criteria for the money, you can let us know what this should be when you’re a few years down the road. Does “mandatory” mean anything when there is no sanction against non-compliance? 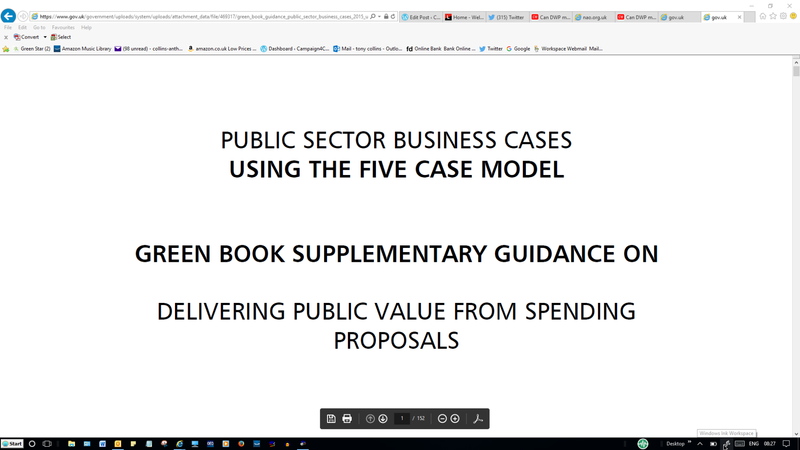 And when the DWP is able to embark on a multi-billion pound programme without submitting a full business case until after the original completion date (2017), what’s the point of a business case? The fact that the DWP is six years into implementation of Universal Credit without a full business case suggests that departments make up the rules as they go along. What if the Treasury rejects the Universal Credit business case when it’s eventually submitted? Will the DWP wait another few years to submit a case, when an entirely new set of officials will be in place? By then, perhaps, the Universal Credit rollout will have finished (or been aborted) and nobody at that stage could be effectively held to account if the scheme didn’t work or money had been wasted. If Whitehall routinely waits until an IT-based programme is finished before presenting a full business case for Treasury approval, there’s nothing the Treasury can do if it wants and needs the programme. Sir Humphrey is all-powerful. Why should officials worry about presenting full business cases on programmes they know there’s a political imperative to deliver? Whitehall to auto-extend outsourcing deals using Brexit as excuse? Type of government procurement spend 2014-2015. ICT is the top item. Under a headline “UK outsourcing deals extended because of Brexit workload”, the Financial Times has reported that “hundreds of government contracts with the private sector that were due to expire are to be automatically extended because civil servants are too busy with Brexit to focus on new and better-value tenders”. The FT says the decision to roll over the contracts could prove expensive for taxpayers because it limits competition and undermines government efforts to improve procurement. The adviser added that this was the only way civil servants could prioritise the huge increase in Brexit-related work since the referendum. The FT provides no evidence of automatic contract extensions or the claim that deals will be extended because of the civil service’s Brexit workload. There is evidence, however, that Whitehall officials tend to extend contracts beyond their original expiry date. In a report published this year on the Cabinet Office’s Crown Commercial Service, the National Audit Office identified 22 framework contracts that were due to expire in 2016-17. Half of them (eleven) were extended beyond their original expiry date. The NAO also found that Whitehall departments – and the Crown Commercial Service – have been awarding contracts using expired framework deals, even though this contravenes public contracting regulations. In 2015-16, 21 of the 39 frameworks that were due to expire were extended without competition or market testing, according to the NAO. One example of an extended contract is a deal between Capita and the Department for Work and Pensions which started in 2010. Capita provides eligibility assessments for the personal independent payment allowance, which supports for people with long-term ill health or disability. The five-year deal was extended by two years until July 2019. Capita has also won a three-year extension to a contract with the Pensions Regulator and the BBC has extended a deal with Capita that was signed originally in 2002 to June 2022 – a total of at least 20 years. The NAO has found that extending ICT contracts may not always be good for taxpayers. In the later years of their government contracts, suppliers tend to make higher margins (though not always). There are also suggestions that civil servants will sometimes sign contract extensions when the performance of the supplier does not meet expected standards. On ICT, the Cabinet Office asks central departments to complete a return every six months for each business process outsourcing and facilities management contract above £20m with strategic suppliers. The survey asks whether the contract is being delivered on time, to scope, to budget, to the appropriate standards, and whether there have been any disputes. failure to meet key performance indicators. For taxpayers there is some good news. And according to Government Computing, Defra’s IT outsourcing contracts with IBM and Capgemini under a £1.6bn contract called “Unity” are due to expire in 2018 and there are no signs the deals will be extended. The DWP doesn’t define “compelling”. Nor is it clear whether its auditors look at whether the DWP has put up a compelling case for not putting a large IT contract out to open competition. “Government is clearly failing to manage performance across the board, and to achieve the best for citizens out of the contracts into which they have entered. “Government needs a far more professional and skilled approach to managing contracts and contractors, and contractors need to demonstrate the high standards of ethics expected in the conduct of public business, and be more transparent about their performance and costs”. The break up of the huge Aspire IT outsourcing contract at HMRC is an exception, not the rule. The NAO has found that civil servants regard their major incumbent suppliers as safe and less risky than hiring a smaller company (that’s not steeped in Whitehall’s culture). The NAO has also found that in some cases officials don’t know whether their suppliers are performing well or not. On many ICT contracts there is “open book” accounting, but not all departments have the staff or expertise to check regularly on whether their suppliers’ profits are excessive. If Whitehall, with exceptions, is continuing to roll over contracts whether it’s legal to do so or not, what incentive exists to stick to the rules? The FT story suggests Brexit is the reason hundreds of contracts are to be extended automatically. There’s probably truth in the automatic extension of some contracts – but it’s unlikely to be because of Brexit. It’s unlikely that the civil servants involved in Brexit will be the same ones who are handling ICT contract extensions. That said, Brexit will inevitably put a higher workload on lawyers working for government. If contracts are being extended automatically, it’s probably because that’s the way it has always been, at least within living memory. While Sir Humphrey and his senior officials remain only nominally accountable to Parliament for how they spend taxpayers’ money, the easiest option of renewing or extending existing contracts will usually be seen as the best option. It can be justified with “compelling” arguments such as a need to make an urgent decision in difficult circumstances, or the absence of alternative suppliers who have the necessary skills or the financial strength to accept the risks of failure. Until departments have to publish contemporaneously their intentions to award contracts without open competition or there is effective accountability within the civil service for major decisions, little is likely to change. It hasn’t happened yet and there’s no reason to believe it will. Many politicians including prime ministers have tried to reform the civil service and they haven’t ruffled a single carpet in the corridors of Whitehall. “The central anomaly is that civil servants have years of experience, jobs for life, and a budget of hundreds of billions of pounds, while ministers have, usually, little or no experience of the job and could be kicked out tomorrow. In short, Brexit is likely to be officialdom’s up-to-date excuse for carrying on much as before. Thank you to @TimMorton2 for alerting me to the FT article. In 2012, the then Cabinet Office minister Francis Maude, lamented the high costs of government IT and spoke of an “oligopoly” of large suppliers. He suggested things would change. “… contracts were consistently awarded to a limited number of very large suppliers on long-term exclusive contracts. “As a result there was inadequate competition and an abdication of control. The concept of having one supplier, aggregated supply, increased project risk and removed competitive tension. “The Government repeatedly found itself paying large amounts for systems that were delivered late, over budget and which often did not fully meet the original policy requirement. If indeed, they were delivered at all. There are plenty of well-documented disasters – such as DH’s now terminated National programme for IT. “Ultimately, the last Government lost control of IT – it outsourced not only delivery, but its entire strategy and ability to shape the future of our public services. “At the same time smaller, more innovative and efficient suppliers were finding themselves locked out of the supply of services to Government because of what was described by Parliament as a powerful “oligopoly” of large suppliers. “Procurements took so long only the big companies could absorb the cost – which they naturally passed on to us. Public sector IT spending was up to £20bn a year, he said, adding that “public sector productivity was actually declining”. He outlined how things were changing. A report published today by the National Audit “Digital Transformation in Government” raises a question of how much has changed. Efforts to boost the SME share of government IT business “have had some impact”, says the National Audit Office, but it adds that “most government procurement with digital and technology suppliers continues to be with large organisations”. Today’s NAO report is mainly about the Cabinet Office’s Government Digital Service – GDS. It points out GDS’s strengths and weaknesses but in general does not give any advice on the sensitive point of whether it should have more or less influence on government IT. On digital transformation, it says that the work of the NAO shows that attempts to transform government have had mixed success. “Digital transformation has a mixed track record across government. It has not yet provided a level of change that will allow government to further reduce costs while still meeting people’s needs. “GDS has also struggled to demonstrate the value of its own flagship initiatives such as Verify, or to set out clear priorities between departmental and cross-government objectives. “GDS’s renewed approach aims to address many of these concerns as it expands and develops into a more established part of government. But there continues to be a risk that GDS is trying to cover too broad a remit with unclear accountabilities. The National Audit Office report is strong on facts and quality of research but avoids the big question of how GDS can bring about change when the top brass in departments prefer autonomy to what they see as GDS’s interference. GDS’s existence goes to the heart of how the civil service runs. It is one part of the civil service trying to bring about change in other parts of the civil service. And the evidence so far is that the civil service doesn’t like change. The NAO report disappoints because it doesn’t address how government IT is to change if departments are to continue to run empires unchallenged by GDS or the heads of the civil service. Sir Humphrey is still king. GDS scrutinises departmental IT spending – spending applications are reviewed by a team of eight people within GDS’s Standards Assurance team – but, much to Sir Humphrey’s delight, GDS’s influence seems to be waning. When Jack Straw was Justice secretary, he told MPs in 2007 that when he abandoned projects there was a fuss at first and soon nobody noticed the project did not exist. “There is always the option to abandon things. I did that in the Foreign Office with much complaint that the world might end. How much has changed? Outsiders including Jack Straw and Francis Maude, together with insiders such as Chris Chant have pointed to the need for major changes in the way departments manage huge IT budgets and there have been some improvements: HMRC’s is breaking up its monolithic “Aspire” contract, citizens may notice that it is possible now to renew passports and driving licences online and GDS has had an impact in making departments think hard about whether they really need to spend the amounts they do on major IT contracts. But major change in the costs of government IT seems not just a long way off but unattainable while the dominance of Sir Humphrey remains unchallenged. From HMRC’s website on Gov.UK … Which should you choose to confirm your identity? HMRC and other government departments are offering millions of citizens the choice of two “competing” identity systems – the Cabinet Office’s GOV.UK Verify, or HMRC’s Government Gateway. There’s no guidance offered on which to choose; and no explanation for the absence of joined-up thinking. When Whitehall departments do their own thing, the public rarely notices the duplicated time, effort and cost, at least when it comes to IT. Now the “silo” approach has spilled out into the public arena. 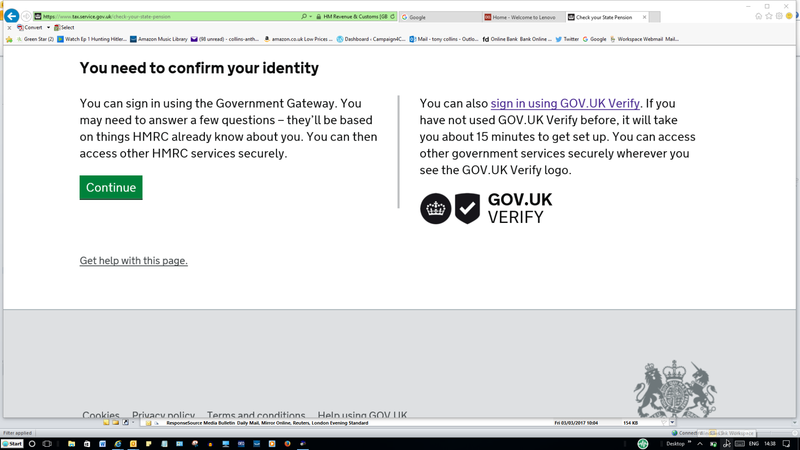 The Government Digital Service – part of the Cabinet Office – developed GOV.UK Verify to enable people to confirm their identify when they want to use government services online. At the same time, HMRC continued to work on a separate identity system: Government Gateway. The cost of the two developments isn’t known. HMRC prefers its own development work on Government Gateway because it enables companies as well as individuals to identify themselves. Verify is designed for individual use. But instead of adapting one or the other to serve individuals and companies, or using Government Gateway for companies only, central departments are offering both – with no guidance on which system citizens should choose; and there’s no explanation for the absence of a joined-up approach to IT. The BBC’s technology correspondent Rory Cellan-Jones says of the two separate identity systems that GDS and HMRC are engaged in a “bitter turf war”. Today I went online to renew a driving licence and was shepherded by DVLA to use the Government Gateway identity system. A few weeks ago I had already successfully registered with GOV.UK Verify. Government Gateway didn’t work properly, for me at least, although I had all the correct documents. When I registered to use a different government service a few weeks I had no choice but to use GOV.UK Verify to confirm my identity. Verify was thorough, seamless and worked perfectly. Impressive. It left the impression of a system that had been well thought out, with the citizen in mind. Putting aside the fact that Government Gateway did not work for me, it seemed dated, much less thorough than Verify, and left an impression of transience – that it was a temporary “make-do” system. For instance, the help screens were not tailored to the particular question being asked. Not impressive. For me. GOV.UK Verify is the identity system of choice. It could surely be adapted to confirm the identities of companies – unless HMRC would rather continue to do its own thing. It’s ludicrous that central government is spending billions of IT annually without a joined-up approach. Ministers keep promising it. Officials at conferences keep promising it. Whitehall press releases promise it. A few weeks ago departments were offering only Government Gateway or GOV.UK Verify. Now many of them are offering both. A wider point of Whitehall’s dual IT approach to identity verification is that it’s the tip of the iceberg (apologies for the cliché but it’s apt). With their ICT budgets, collectively, of billions of pounds a year, central departments are, in the main, doing their own thing. A politician with the clout of Francis Maude may be needed to bang the heads of permanent secretaries together. But even if Maude’s replacement Ben Gummer had that clout – and he doesn’t – permanent secretaries and departmental boards would complain that the Cabinet Office was interfering. Complaints along these lines would be made, perhaps, in off-the-record briefings to friendly journalists and to the National Audit Office in departmental responses to NAO surveys of senior officials, with the result that the Cabinet Office would end up backing away from trying to enforce a joined up IT approach. That a genuine joined-up approach to government IT has been talked about for decades and hasn’t happened is largely because, outside of determining of the size of budgets, it is the permanent secretaries and their senior officials who hold power in Whitehall, not transient politicians. And bureaucracies always want to keep their departmental empires as intact as possible. The current two top Whitehall officials, Cabinet Secretary Sir Jeremy Heywood and John Manzoni, chief executive of the civil service, are consensus-seeking people, not at all confrontational. Probably their lack of a controversial edge is one of the main reasons they were chosen for their jobs. All of which means there’s no chance of permanent secretary heads being banged together in an effort to cut costs and help bring about joined up government IT . Is government ICT spending much less today? Perhaps HMRC’s Government Gateway officials would let us know. IBM-led Southwest One has had a mostly bad press since it was set up in 2007. But the story has a positive postscript. Officials at Somerset County Council now understand what has long been obvious to ICT professionals: that the bulk of an organisation’s savings come from changing the way people work – and less from the ICT itself. Now that Somerset County Council has the job of running its own IT again – its IT-based relationship with Southwest One ended prematurely in December 2016 – the council’s officials have realised that technology is not an end in itself but an “enabler” of headcount reductions and improvements in productivity. A 2017 paper by the county council’s “Programme Management Office” says the council has begun a “technology and people programme” to “contribute to savings via headcount reduction by improving organisational productivity and process efficiency using technology as the key enabler”. It was in 2007 that Somerset County Council and IBM launched a joint venture, Southwest One. The new company took over the IT staff and some services from the council. In the nine years since then the council has concluded that outsourcing ICT – thereby separating it from the council’s general operations – was not a good idea. The same message – that IT is too integral and important to an organisation to be outsourced – has also reached Whitehall’s biggest department, the Department for Work and Pensions. ” We talk about IT as something separate but it isn’t. It is part of your operating system. It’s a tool within a much better system. If you get rid of it, and lose control of it, you don’t know how to build these systems. ” So we had an IT department but it was actually an IT commissioning department. It didn’t know how to do the IT. A reliance on traditional ways of working (paper-based and meeting-focused). Inadequate data extraction that does not support evidence based decision making. To help tackle these problems the council says it needs a shift in culture. This would enable the workforce to change the way it works. From January 2017 to 2021, the council plans “organisation and people-led transformational change focused on opportunities arising from targeted systems review outcomes”. Less unproductive time in travelling and attending some statutory duties such as court proceedings. Reduced management time because of fewer people to manage e.g. supervision, appraisal, performance and sickness. Reduced infrastructure spend because fewer people will mean cuts in building and office costs, and IT equipment. Also less training would be required. Reduction in business support process and roles. Reduction in hard copy file storage and retention. The council has discovered that it could, for instance, with changes in working practices supported by the right technology, conduct the same number of social services assessments with fewer front- line social workers or increase the level of assessments with the same number of staff. Southwest One continues to provide outsourced services to Avon and Somerset Police. The contract expires next year. Somerset County Council is taking a bold, almost private sector approach to IT. Its paper on “technology and people” says in essence that the council cannot save much money by IT change alone. Genuine savings are to be found in changing ways of working and thus reducing headcount. This will require very close working – and agreement – between IT and the business end-users within the council. It is an innovative approach for a council. The downside is that there are major financial risks, such as a big upfront spend with Microsoft that may or may not more than pay for itself. Does outsourcing IT ever make sense? Somerset County Council is not an international organisation like BP where outsourcing and standardising IT across many countries can make sense. The wider implication of Somerset’s experience – and the experience of the Department for Work and Pensions – is that outsourcing IT in the public sector is rarely a good idea. 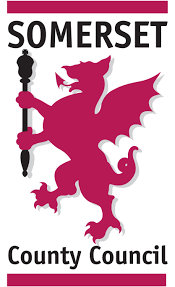 Thank you to Dave Orr, who worked for Somerset County Council as an IT analyst and who has, since the Southwest One contract was signed in 2007, campaigned for more openness over the implications of the deal. He has been more effective than any Somerset councillor in holding to account the county council, Taunton Deane Borough Council and Avon and Somerset Police, over the Southwest One deal. He alerted Campaign4Change to Somerset’s “Technology and People Programme” Somerset paper. One of Orr’s recent discoveries is that the council’s IT assets at the start of the Southwest One contract were worth about £8m and at hand-back in December 2016 were worth just £0.32m, despite various technology refreshes. is London Ambulance Service’s back-up system “public endurance”? In November 2016 London Ambulance Service had its busiest week for seriously ill and injured incidents in the history of the Service. “The Service is …expecting demand to increase even further throughout December,” said London Ambulance Service at the time. A few weeks later, on one of the busiest nights of the year, the systems went down, from 12.30am to 5.15am on 1 January 2017. The result was that 999 calls were logged by pen and paper. When systems are working normally an incoming 999 call displays the address registered to that number – if the address is registered. The London Ambulance operator confirms the location, assesses the severity and an ambulance can be despatched within seconds, with the address on its screen and a satnav pointing the way, according to a comment on The Register. Pen and paper takes longer because the address and other details need to be given over a radio, which can take minutes. But pen and paper is the London Ambulance Service’s back-up for IT failures. Whether it can cope with unprecedented demand – or with a major incident in London – is in doubt. A former London Ambulance Service paramedic told the BBC there had been waits of an hour for ambulances on 1 January 2017. He said call handlers had been “amazingly helpful”, but it was “easy to become overwhelmed especially in the midst of high call volumes”. London Ambulance Service declined to answer any questions on its latest system failure. A report into the collapse of London Ambulance Service systems found that they had had failed for many reasons. The Service had taken a “high-risk” IT approach and did not test systems thoroughly before putting them into service. In 2006 the London Ambulance Service systems crashed nine times in a fortnight. Each time staff reverted to pen and paper. In 2008, when systems failed, repairs took 12 hours. Again the Service reverted to pen and paper. In June 2011 an IT upgrade caused the system to go down for about three and half hours. Pen and paper was again the back-up “system”. At the time the London Ambulance Service was upgrading the Commandpoint system, supplied by Northrop Grunman, which the Service deployed in 2010 and still uses. In 2013 on Christmas Day and Boxing Day the systems went down for separate reasons for several hours each day, with staff reverting to pen and paper. The Chief Inspector of Hospitals, Mike Richards, recommended that the London Ambulance Service be placed into special measures. It’s becoming the norm for parts of the public sector to regard the public as captive customers when it comes to going live with new IT or upgraded software. Rather than test new systems, procedures and upgrades thoroughly before introducing them, some parts of the public sectors are going live with a “let’s see what happens and fix things then” approach. This has become the semi-official approach to the introduction of Universal Credit – with long delays in payments for some claimants. Within the NHS, at some hospitals introducing new patient record systems, there has been an internal acceptance that patients may suffer from delays, perhaps with tragic consequences, at least for three year-old Samuel Starr. The NHS e-referral service was launched with nine pages of known problems. And when NHS England launched a streamlined GP support service with Capita, officials knew of the possible problems. But it launched anyway. After the London Ambulance Service’s IT failure on New Year’s Day, it’s clear that many emergency workers did their best to give a normal 999 service. St John’s Ambulance helped. But to what extent does senior management at the London Ambulance Service have a “stuff happens” mindset when IT goes seriously wrong? There’s no individual accountability and no commercial imperative to learn lessons from any of the failures. And there’s no fervent business or political will to ensure the same or similar mistakes don’t recur. Every time systems fail, the London Ambulance Service promises an investigation. But where are the results published so that lessons can be learned? Pen and paper is tried and tested. But demands on the London Ambulance Service are much greater than in the past. With an unprecedented demand for its services how is it London Ambulance Service’s senior management can comfortably rely on pen and paper as its back-up system? It can – if nobody in power requires an earnest answer to the question. Another wider question is whether it’s acceptable to use the public as guinea pigs for new or upgraded IT, with potentially serious or even tragic consequences. Central buying of IT and other services is a bit of a shambles – just what Sir Humphrey wants? Like the Government Digital Service, the Crown Commercial Service was set up as a laudable attempt to cut the huge costs of running central government. The Cabinet Office under Francis Maude set up the Crown Commercial Service [CCS] in 2014 to cut the costs of buying common products and services for Whitehall and the wider public sector including the NHS and police. It has a mandate to buy commodity IT, other products and services and whatever can be bought in bulk. It has had some success – for example with negotiating lower prices for software licences needed across Whitehall. The skills and knowledge of its civil servants are well regarded. But, like the Government Digital Service, CCS has had limited support from permanent secretaries and other senior officials who’d prefer to protect their autonomy. It has also been hindered by unachievable promises of billions of pounds in savings. Even CCS’s own managers at the time regarded the Cabinet Office’s plans for huge savings as over-optimistic. Yesterday [13 December 2016] the National Audit Office published a report that questioned whether CCS has paid its way, let alone cut public sector costs beyond what civil and public servants could have achieved without it. “CCS has not achieved value for money. The Cabinet Office underestimated the difficulty of implementing joint buying for government. With no business case or implementation plan CCS ran into difficulties. Net benefits have not been tracked so it cannot be shown that CCS has achieved more than the former Government Procurement Service would have. The public sector spends £2.5bn directly with CCS – £8bn less than originally forecast. The forecast of £3.3bn net benefits from the creation of CCS over the four years to 2017-18 are unlikely to materialise. The National Audit Office says the actual net benefits of CCS to date are “unknown”. The Cabinet Office did not track the overall benefits of creating CCS. 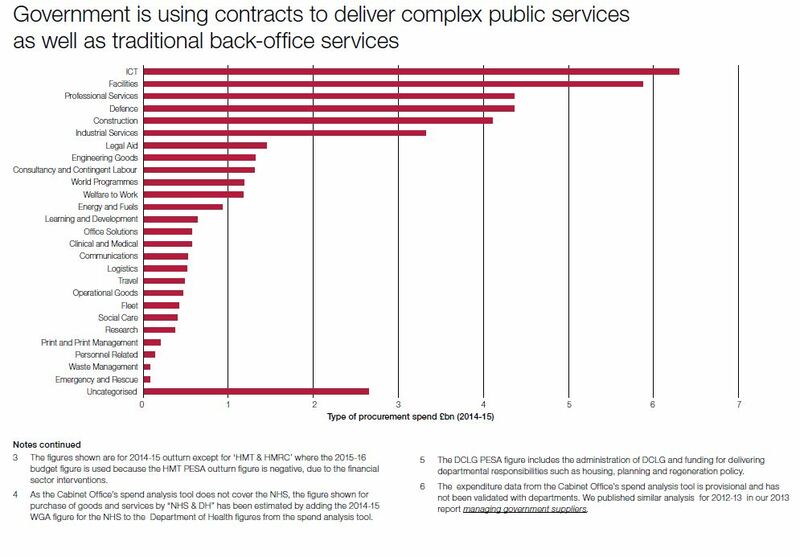 Most of the planned transfers of procurement staff from central departments and the wider public sector to CCS haven’t happened. Where some of the workforce has transferred, some departments have rehired staff to replace those who transferred. Departments continue to manage their own procurement teams, although they use CCS’s frameworks. CCS was set up with the power to force central departments to use its bulk buying services. But that power wasn’t enforced. The National Audit Office says it is “no longer clear whether CCS has a clear mandate that requires all departments to use it for direct buying… it no longer has a clear timetable or expectation that further departments will transfer staff or buying functions to CCS”. It’s all a far cry from the expectations set by a Cabinet Office announcement in 2013 which said that CCS will “ensure maximum value for the taxpayer is extracted from every commercial relationship”. Why CCS has failed so far to make much difference to Whitehall’s costs is not clear. It seems to have been hit by a combination of poor management at the outset, a high turnover of senior officials and ludicrously high expectations, combined with a civil service reluctance in central departments and the wider public sector to cede control over procurement to CCS – even when it comes to common products and services. Even the Prime Minister is, in practice, powerless to force departments to do something they don’t want to do (except in the case of the miscarriage of justice that involved two Chinook pilots who were eventually cleared of gross negligence because the then defence secretary Liam Fox, through a series of manoeuvres, forced the MoD to set the finding aside). The CCS may be doomed to failure unless the Cabinet Office rigorously enforces its mandate to make government departments use its buying services. If the Cabinet Office does not enforce its power, Sir Humphrey will always protect his turf by arguing that the products and services his officials buy – including IT in general – are specific and are usually tailored to the department’s unique and complex needs. Much to the relief of Sir Humphrey, Francis Maude, the battle-hardened enforcer at the Cabinet Office, has left the House of Commons. He has no comparable replacement. Are all central initiatives aimed at making a real dent in the costs of running Whitehall now doomed to failure? Sir Humphrey knows the answer to that; and he’s wearing a knowing grin.